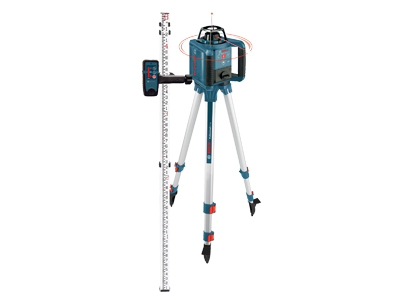 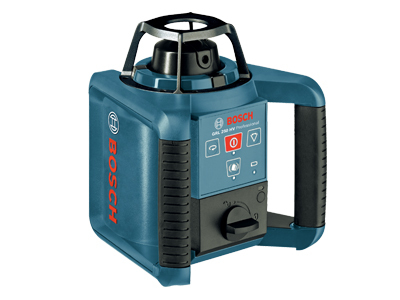 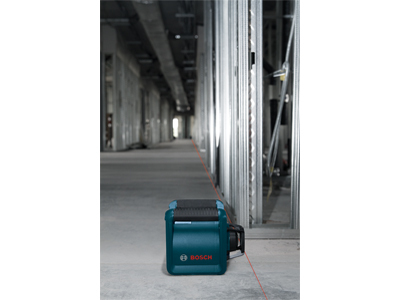 The Bosch GRL 250 HVCK allows a user to complete various applications with the ability for layout, level, align and square. 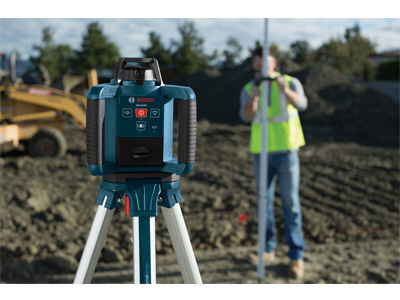 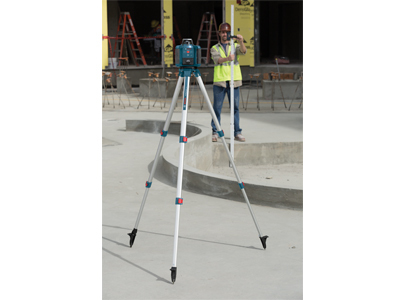 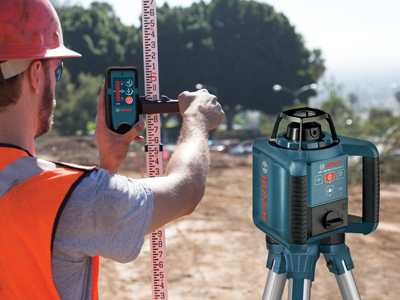 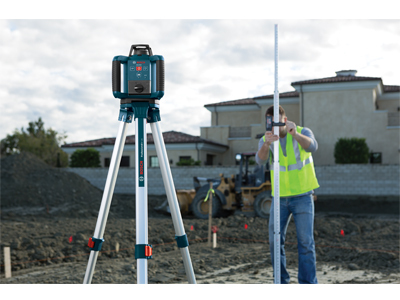 This electronic self-leveling horizontal and vertical rotary laser has 1000 ft range for exact leveling on even the biggest job sites. 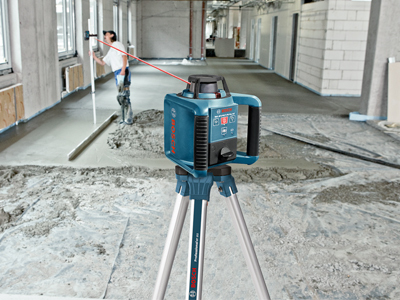 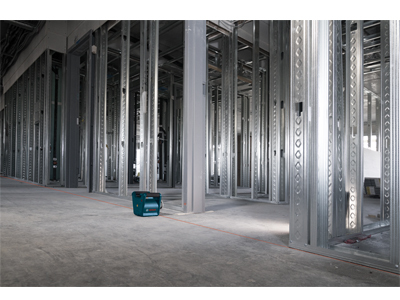 The variable speed selection and manual scan angles allow for maximum visibility in different lighting conditions. 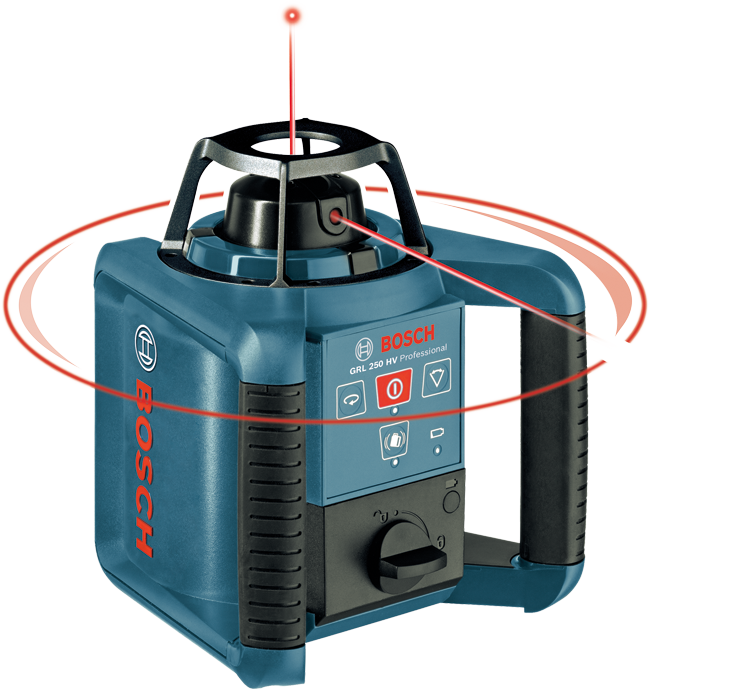 With its smart electronic leveling, the rotary laser self-levels and indicates out-of-level conditions with its disturbance monitor. 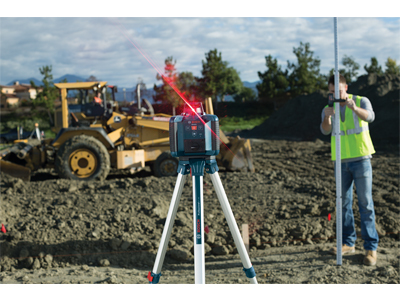 The dual sided laser receiver makes for easier finding of level during applications from either the front or the back of the receiver. 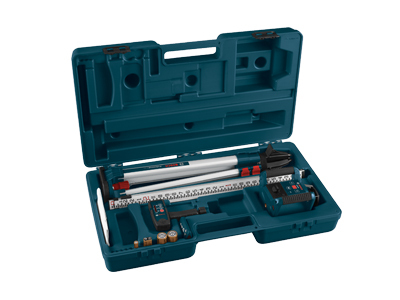 It also comes with a full kit of accessories to get the job done.